Virgin Atlantic is one of only two European airlines which allow points transfers out of their schemes. The other is Finnair with transfer partners such as IHG and Accor. For those who collect Avios points the alternative method of redeeming hotels is through the BA Executive Club website however with the value of this type of redemption in the region of 0.5-0.6p per Avios point it rarely makes sense over using for flights (usually in the region of 1p per Avios point). The ability to transfer points out of Virgin Atlantic to a number of hotel providers opens up some interesting travel hacks. This is because hotel reward schemes will never let you convert your hard-earned points to one of their rivals. However using Virgin Atlantic as an intermediary you could transfer your points from the likes of Marriott Bonvoy to Virgin. Once these points have cleared you can then transfer the Virgin Atlantic miles to Hilton Honors. I’ve recently written about this in full here describing why it isn’t the best idea! Frustratingly to date Virgin Atlantic haven’t automated the process of transferring Virgin points to Hilton. As such you’ll need to contact the Virgin Atlantic Flying Club helpdesk (using one of these numbers) and ask them to make the transfer for you. There is a minimum requirement of 10,000 Flying Club points per transfer with 10,000-point increments after that. As you can see on the Hilton page of the Virgin Atlantic website, you’ll receive 3 Hilton Honors points for every 2 Virgin Atlantic Flying Club points transferred. As I recently explained in this article about the Hilton Honors credit card we tend to value a Hilton Honors point at roughly 0.3p. As such by transferring 2 Virgin Atlantic points, worth approximately 2p, you’ll only be receiving roughly 0.9p of value… You should think long and hard whether transferring to Hilton is really necessary. Why Transfer Virgin Atlantic Miles to Hilton Honors? Virgin Atlantic miles expire after 36 months of no activity on the account. If you require Hilton points and would like to restart the clock on your Virgin Atlantic account then a transfer of 10,000 points is possible. There are various methods of creating activity on your account using the partners pages of the Virgin website found here. The Shops Away feature allows you to earn points at over 1,000 retailers and is likely to be your best option for earning a small number of points. If you’re after that Hilton redemption of a lifetime and are only a few points short then it may make sense to transfer Virgin Atlantic points to Hilton. For those who rarely fly long haul or have a small to medium-sized pot of Flying Club points, it can be difficult to use Virgin Atlantic Flying Club points for flight redemptions. As such transferring to a hotel scheme in this instance may make sense. However with Flybe, Air France and KLM all accepting Flying Club points in the not too distant future this may open up new redemption opportunities on short-haul flights. For those who are looking to redeem hotel stays with Virgin Atlantic Flying Club miles, don’t forget you can also book accommodation with miles using Kaligo.com. Using Kaligo, you’ll receive somewhere in the region of 0.4-0.7p per mile, which isn’t great but is in line with the likely value you’d receive by converting to Hilton. Quickest Way to Collect Both Virgin Atlantic Points and Hilton Honors Points? Regular readers will know that we’re big fans of the American Express Gold card – reviewed here. The card is free for the first year and offers a sign-up bonus of 20,000 Membership Rewards points when you spend £2,000 in the first 3 months. The card also offers an earning rate of 1 reward point for every £1 spent as well as 2 free airport lounge passes. What makes this card really stand out is that you can transfer points to Virgin (and 11 other airlines) at a rate of 1 to 1 as well as Hilton at a rate of 1 to 2. This is better than the rate offered when transferring between Virgin and Hilton. 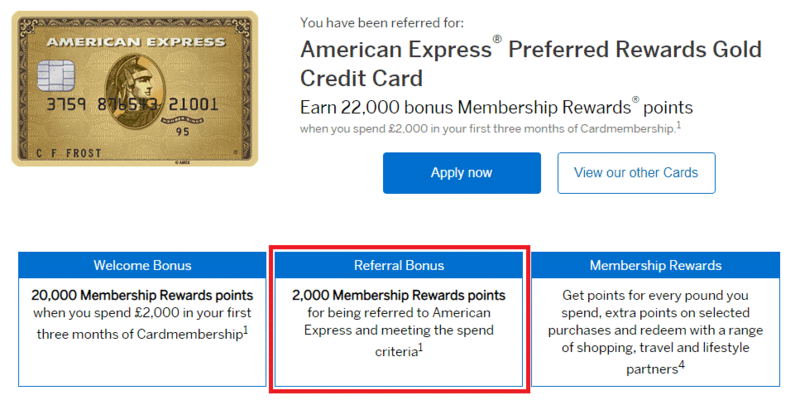 If you’re interested in the card you can also boost the sign-up bonus to 22,000 points by using this referral link – every little counts!